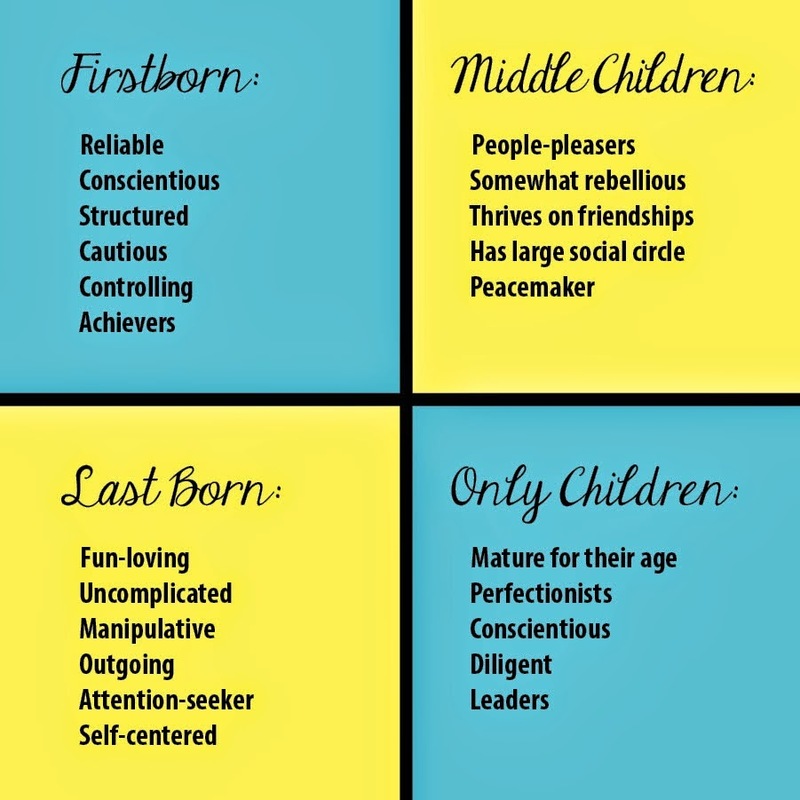 The Middle Child Syndrome: Myth or Fact? When I got pregnant with our third, I already started worrying about the middle child syndrome. I heard about it from families with three kids, and didn't want my youngest (at the time) to get the short end of the stick at most times. My husband already (clearly) gave preference to our oldest and I felt very sorry for my youngest son. It just wasn't fair! What was going to happen with a third baby?! Martin Luther King Jr., Abraham Lincoln, and Madonna were all middle children, and they have accomplished so much in their lives. Did parental preference - or lack of it - have an effect on them? 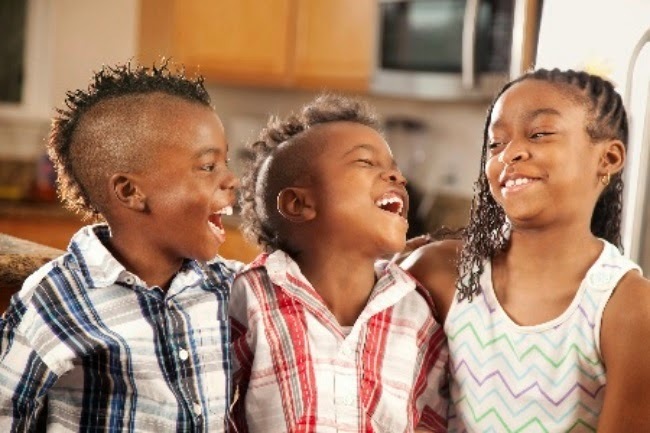 Although they are an obvious tiny snapshot of comparison, various studies continue claiming that the middle child feels neglected, is resentful with a negative outlook on life, has no drive, and feels like s/he doesn't belong. There are alos various books written on the subject to oppose the idea, including Katrin Schumann's The Secret Power of Middle Children. So is the middle child syndrome a myth or a fact? Now, let's talk more about that middle child. See, even in my post s/he is being neglected! The fact that there is a term "middle child syndrome" is concerning in the first place. 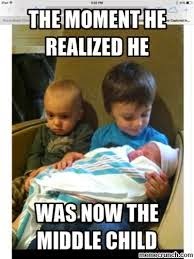 The term "middle child syndrome" refers to when a middle child - usually in a family of three kids who are close in age - feels left out or neglected. But I believe it's up to the parents or caregivers to prove this stereotype wrong. 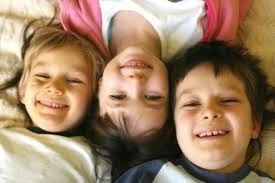 Many also believe that in a 3-kid family the middle child syndrome may not exist because of gender, i.e. if your middle child is of a different gender than the oldest and youngest one. I guess, it makes sense because the middle will bring many 'firsts' to the family (e.g. first dance recital if your middle child is a girl and the other two kids are boys). However, I believe in raising all kids with love, dedication and commitment and recognizing each child's unique personality and characteristics, and helping them succeed in what they love doing. 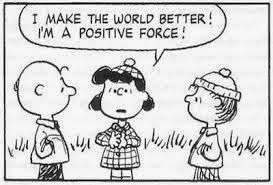 We tend to focus too much on labeling everything with a negative connotation to it, rather than focusing on the positive side of things and looking for ways to improve. 62.5% of our respondents disagreed with the following statement: "In summary, the middle child syndrome is when the oldest child gets all the new and nice things, the youngest gets all the love, and the middle one gets nothing, or leftovers in the best case scenario." When asked: "What was the most inaccurate stereotype you've heard about middle children as the child or as a parent? How does the middle child shine? What are the most surprising qualities? ", here is what our readers had to say. "A common stereotype is that the middle child doesn't get any attention, or is mischievous to get some attention." "Middle children shine when they quietly observe life situations. They are very creative, stubborn, playful and mischievous." "Middle kids are very bright, logical and sweet." And, according to our survey, the middle child is most likely to become a leader, a doctor, or work in some creative field. Be it stereotype or not, I know that my middle child gets all the attention whether he wants it or not. We call him "the little destroyer"; you can easily figure out how he gets all the attention:). He is definitely not caring or affectionate, but my oldest one is, and he is a happy little toddler. And although our third one is a girl (after 2 boys), people - relatives or not - care the least about her. My oldest is a perfectionist, and is definitely an overachiever. He is also very conscientious and extremely cautious. And my daughter (youngest one) is a happy baby at most times for now. Many studies on the middle child syndrome suggest that middle kids are great team players and successful leaders. And, if neglected as children, the middles seem to benefit from this in the long run by becoming more independent and think outside the box. Research also suggests that middle kids' drive and ambition is represented best by their interest in principles and concepts. I believe that the so-called "middle child syndrome" has less to do with the order of siblings, and more with how the kids are raised and treated by parents or caregivers. As a parent, I always try my best to be fair to all my three kids. And remember, fair does not mean equal. It's important to make sure each of your children know how special and unique they are, and it's up to you to figure out the best way to show that to your kids. Regardless how many kids you have, it is always a good idea to have special 'date nights' - specially dedicated time and activity - with each of your children, separately. This is hard to do when you have an infant attached to your hip, but as all kids are 2+, it becomes a lot more manageable. So, is there really such a thing as the middle child syndrome? I cannot answer that, and I don't believe research can either. It's about what you believe in based on your personal experience as a middle child and/or as a parent of three kids. 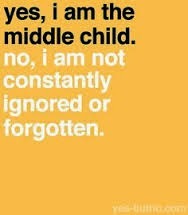 But what matters really is the journey - hopefully a positive one - of being a middle child, not the label. Written by: Stella V. All opinions are my own. 10 Car Seat Safety Rules & Tips You Must Follow! Busy Mama December Giveaway #1 - Enter Now!